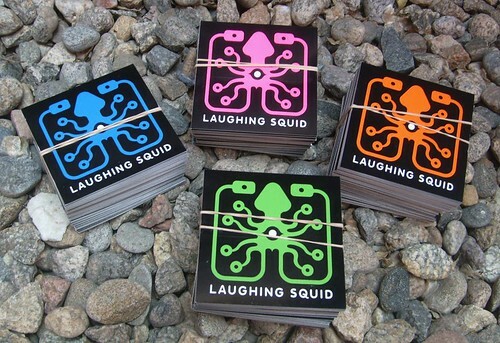 Our awesome sticker printer Sticker Giant has setup a special Laughing Squid online store where they are selling Laughing Squid sticker assortment 4 packs featuring our new colors of stickers, which are also available in 4 packs of each color. 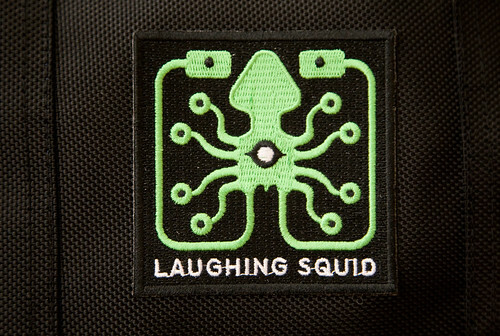 In addition to the stickers, Sticker Giant is also selling the long awaited Laughing Squid embroidered patches. Sticker Giant is offering Laughing Squid customers free standard shipping within the US for your entire order (even if the order includes other items). Just use the coupon code “laughingsquid” when you check out. Sticker Giant also ships internationally to the following list of countries. As before you can still get our stickers for free if you send us a self-addressed stamped envelope (SASE).